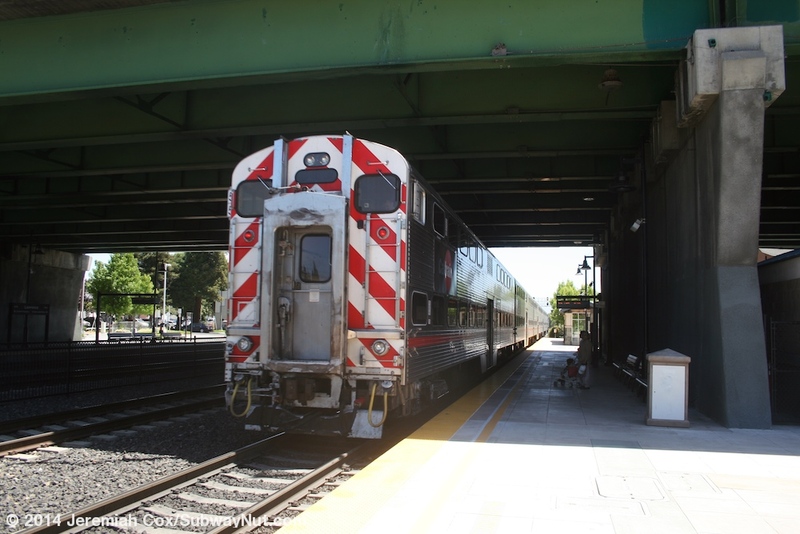 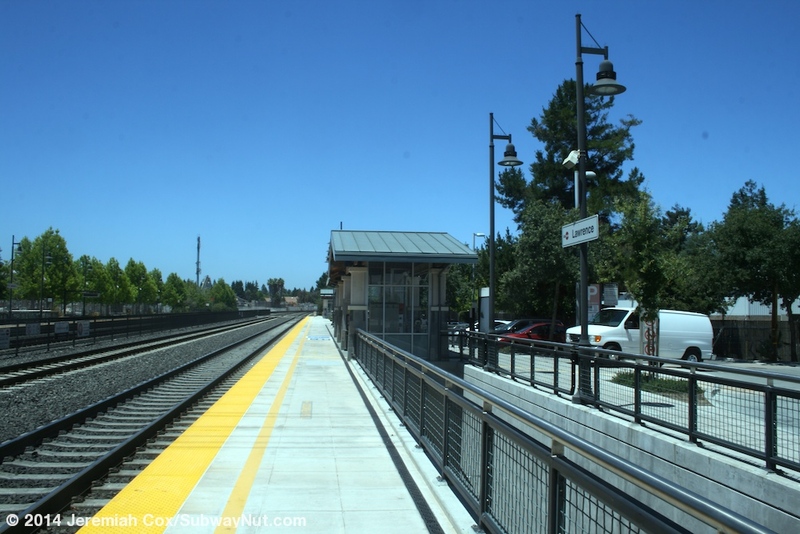 Lawrence is a Caltrain Station that was rebuilt in 2004 as part of the CTX project that built passing sidings for the introduction of Baby Bullet Express trains. 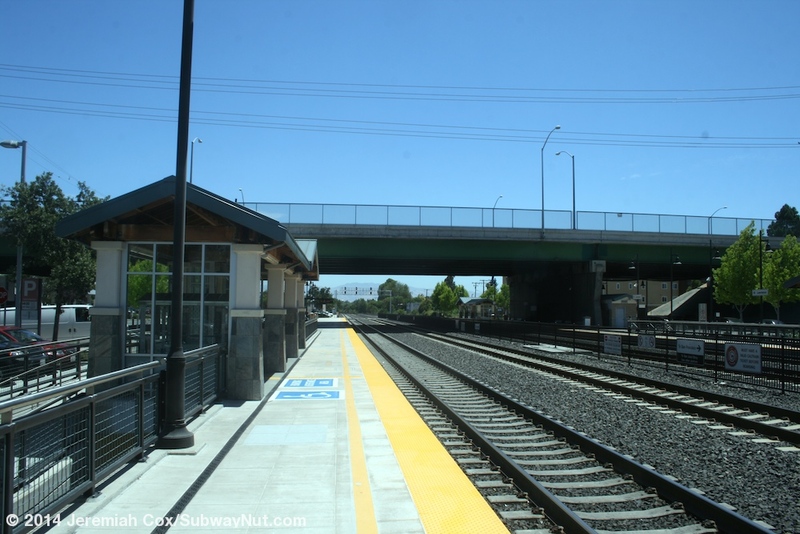 Lawrence is one of theses stations and now has two side platforms along the outside two tracks of what is now a four-track line. 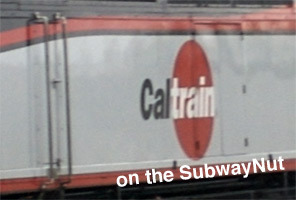 The inside tracks are used by Baby Bullet Express trains to pass Local and Limited trains. 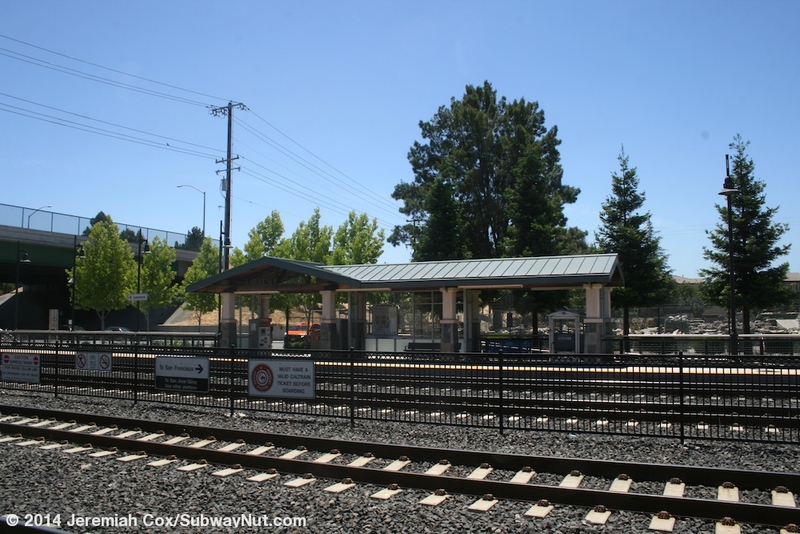 A fence runs down between the two express tracks and there is a fully closed off (by a gate) pedestrian grade crossing at each end of the platform. 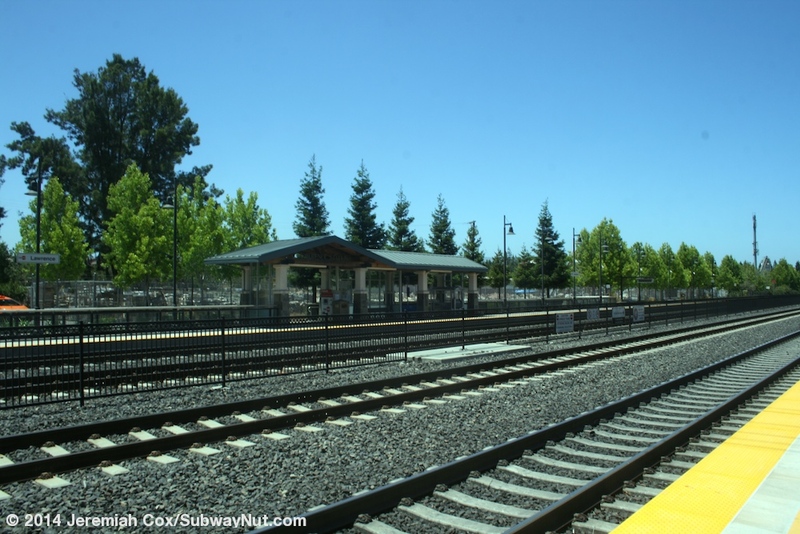 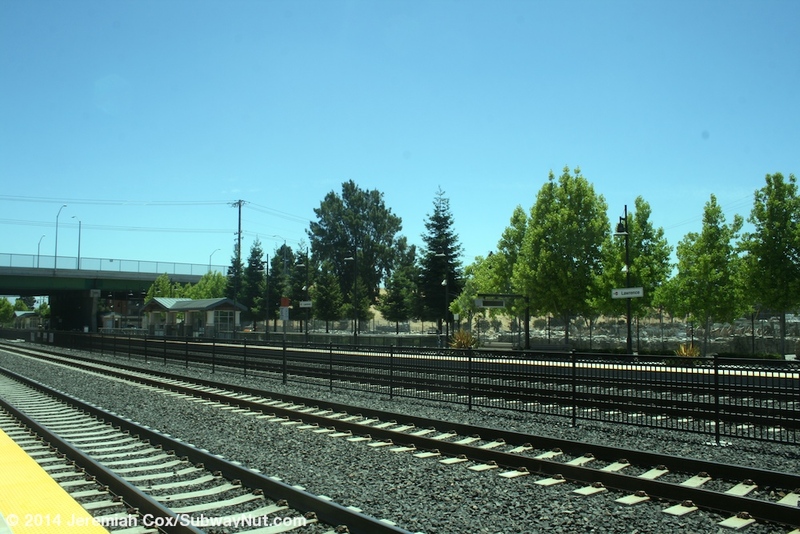 There is a fifth siding track along the San Jose-bound platform that provides freight access to Calstone that begins halfway through the station and runs west. 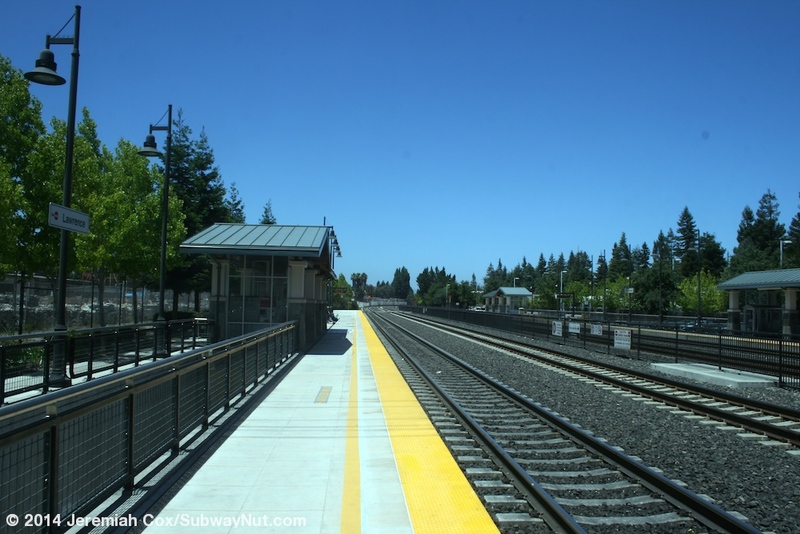 All access from the south side of the station requires crossing this siding along completely level walkways. 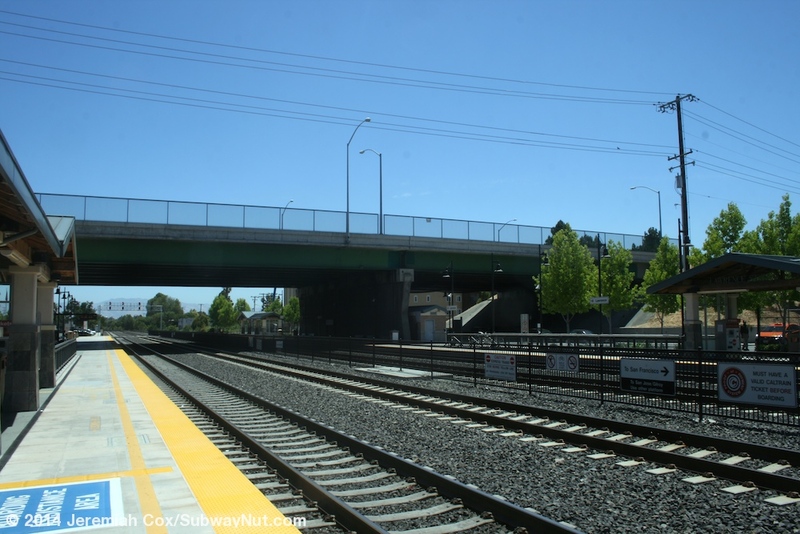 The overpass bridge of the Lawrence Expressway crosses over the eastern (San Jose-bound) end of the platforms. 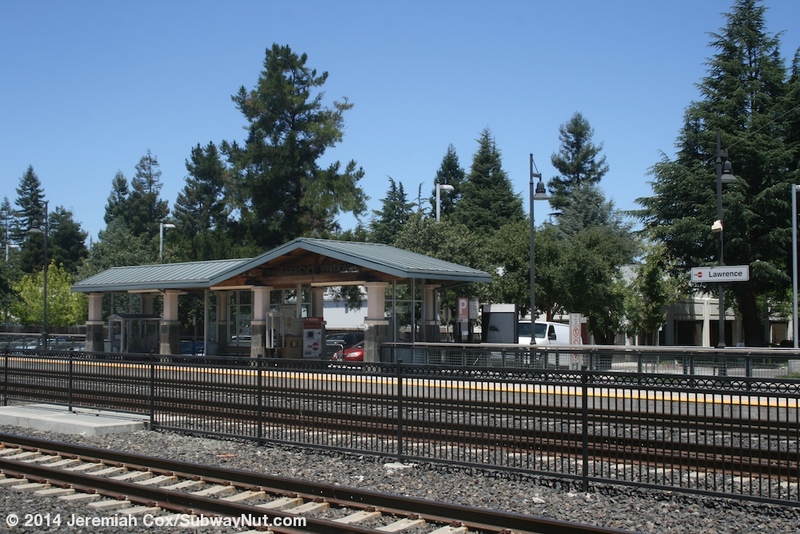 All access to the station is from Willow Avenue that loops around the overpass and becomes French Street along the south, San Jose-bound platform and two streets with a nearly identical arrangement, Lawrence Station Road that loops and becomes San Zero Way along the north, San Francisco-bound platform. 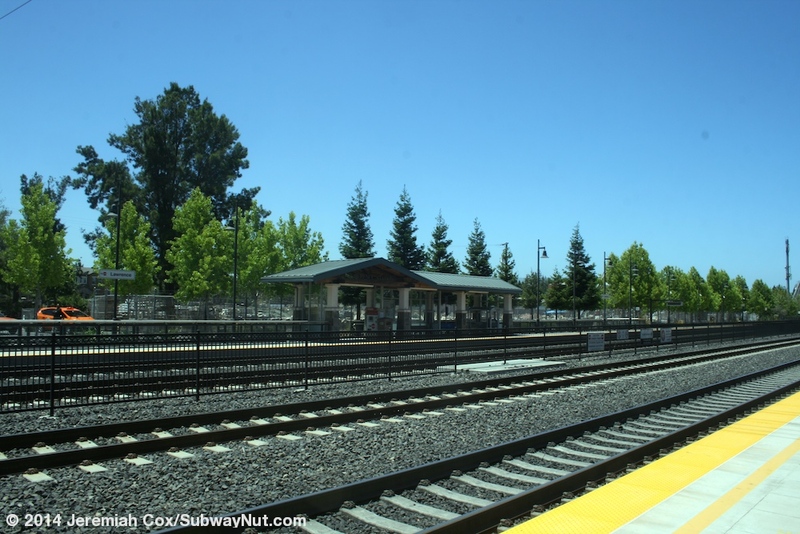 The San Francisco-bound platform includes a slightly bigger drop-off area and loop with a tiny single lane parking lot that extends beyond both ends of this platform with only 122 paid spaces. 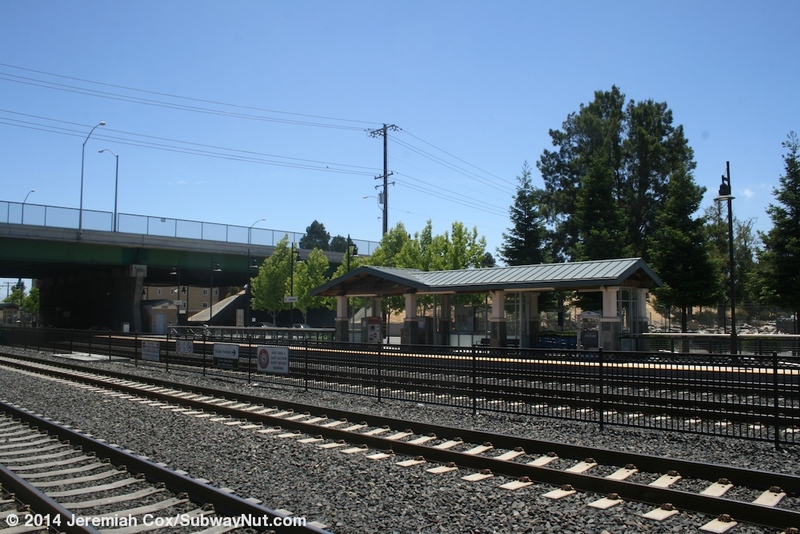 This parking lot is angled downhill in the western direction requiring a small flight of stairs at the western end of the platform although its level with the platform at its eastern end. 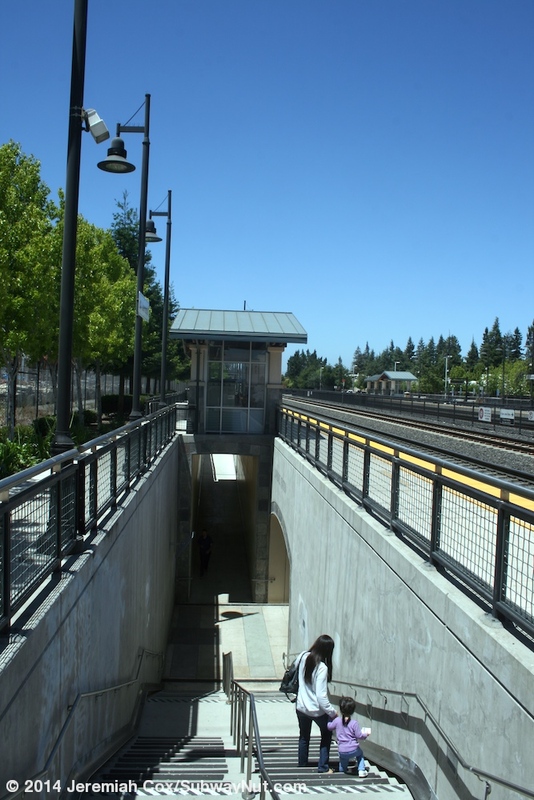 The platforms are connected by pedestrian tunnel. 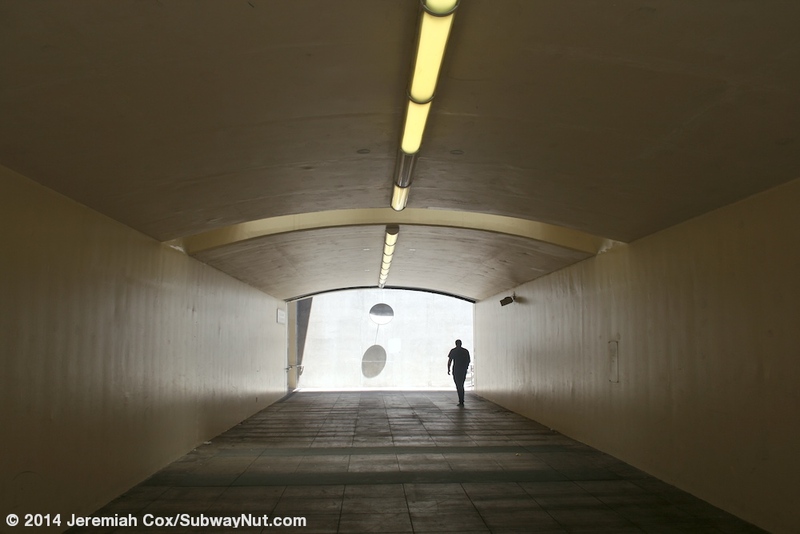 This tunnel has simple concrete walls painted a cream color. 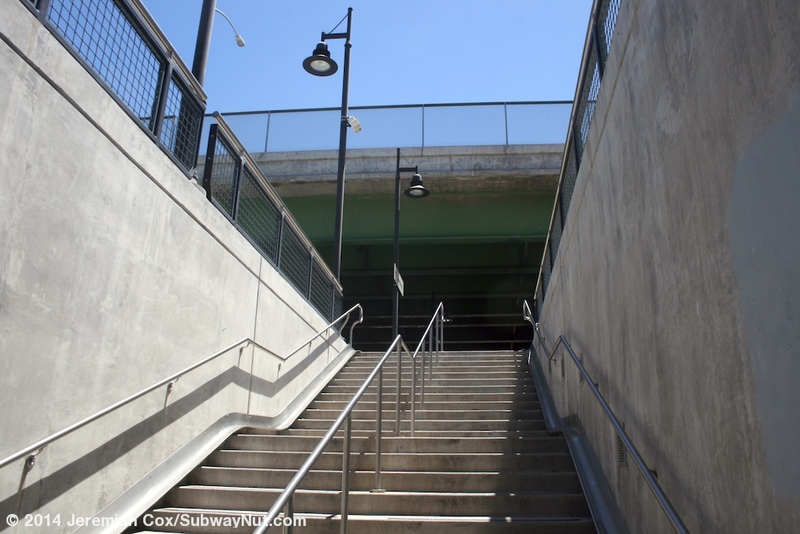 At each end is a staircase (on the east side) and ADA ramp that loops up with one switchback. 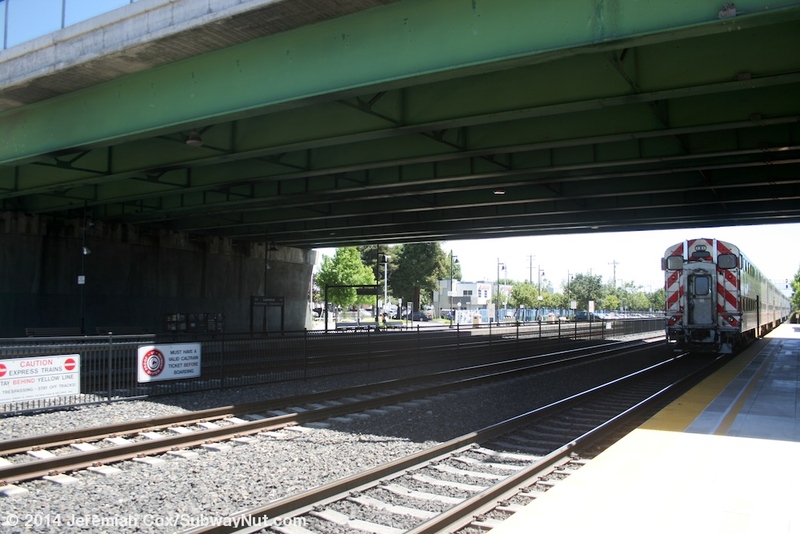 Above the ends of the tunnel (and the beginning of the ramp) is a shelter structure on each platform. 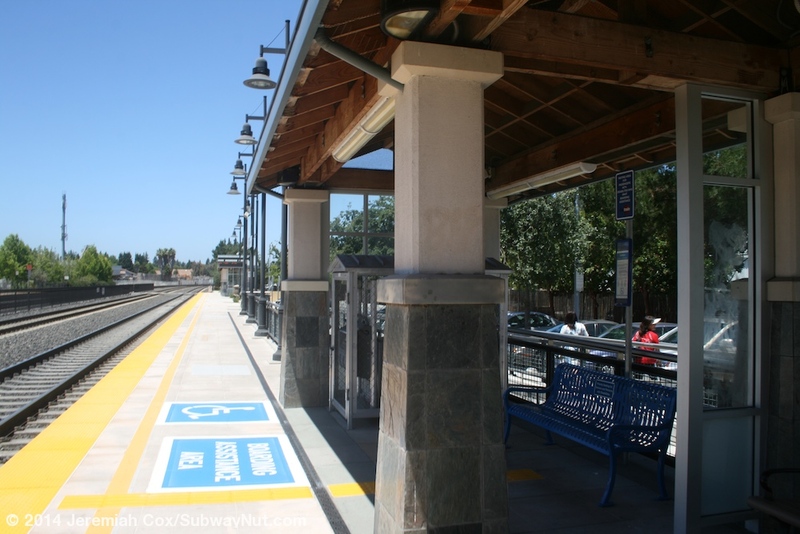 This shelter has stone and cream pillars holding up a slightly angled green roof whose inner portions is a faux wood. 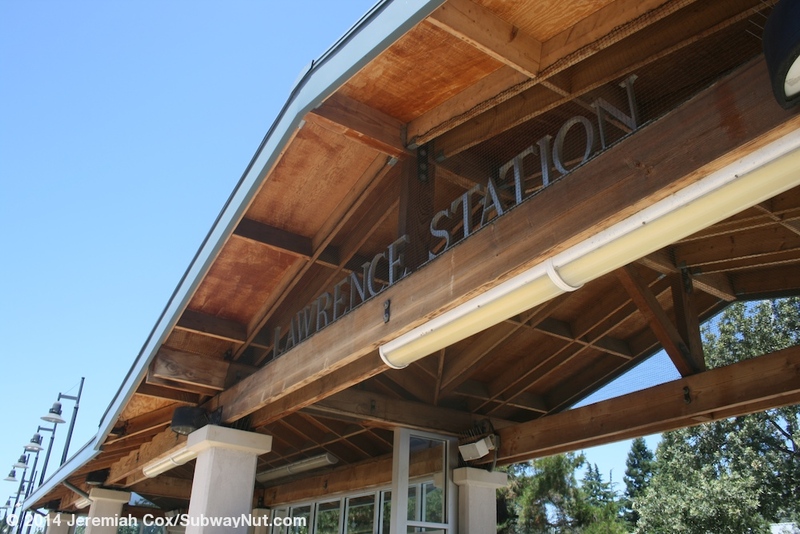 Black Letters on this wood say 'Lawrence Station'. 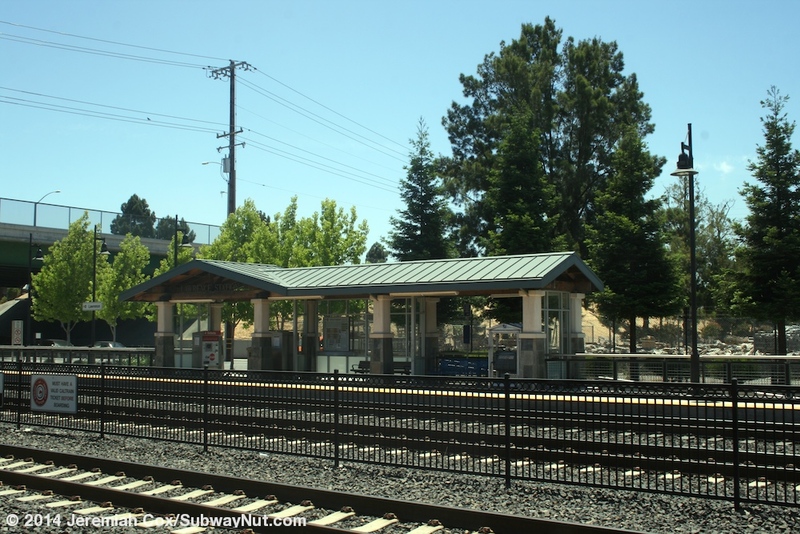 This shelter covers two TVMs for each platform, a bench with windscreens on three sides, the ADA blue bench and the enclosed by fencing Mobile-Lift that each accessible Caltrain station has. 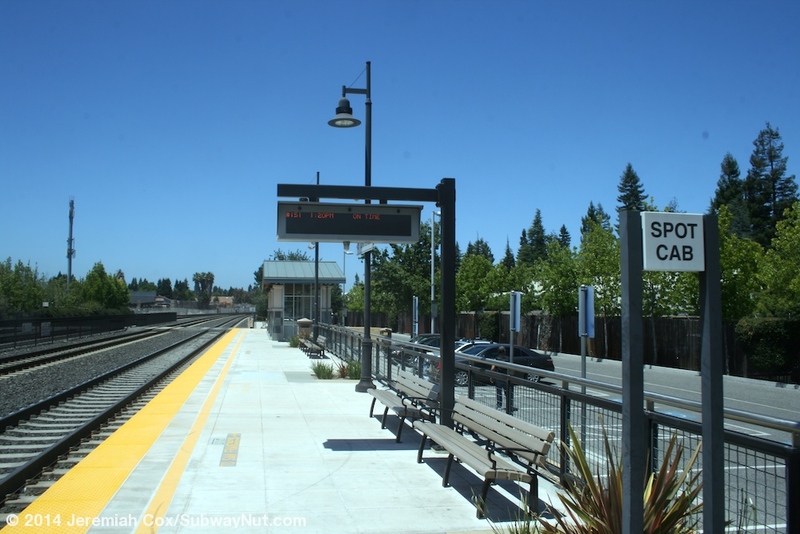 There is a second nearly identical shelter structure except with just normal benches at the front end of each platform (making them opposite one another) that just have benches beneath. 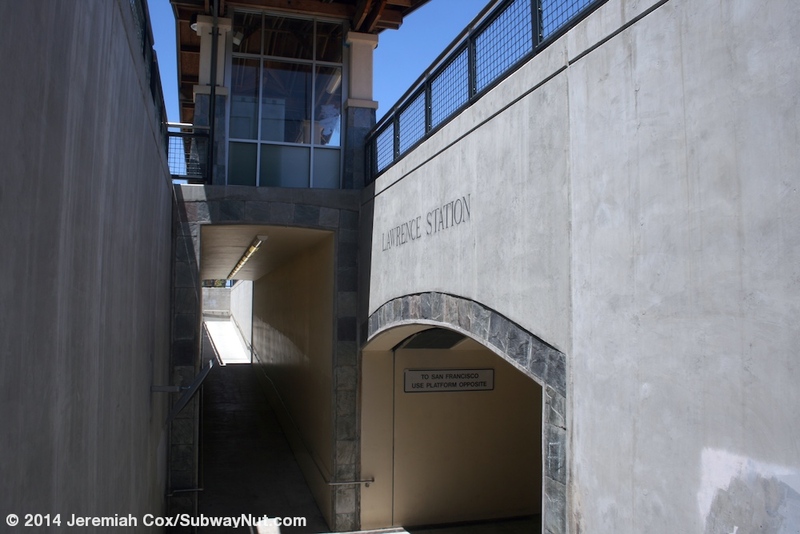 Signage at the station are simple white ones that say Lawrence next to the Caltrain logo and a bigger black sign that says Lawrence beneath overpass bridge with arrows and the direction of travel beneath it.